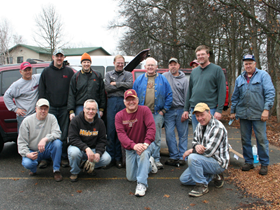 Men in Action (MIA) is a group of volunteers available to help widows, single moms and elderly couples that need assistance with things such as moving furniture, light home maintenance, painting, cleaning gutters, plowing snow, etc. We also provide an oil change service on a quarterly basis, with the benevolence fund paying for the costs. Are you are interested in helping regularly or being on the contact list for occasional projects?